This intensive course is a rare opportunity for those wanting to design and paint on a grand scale. Learn to create- from start to finish - large scale murals in the tradition of Tiepolo and other 18th century masters. 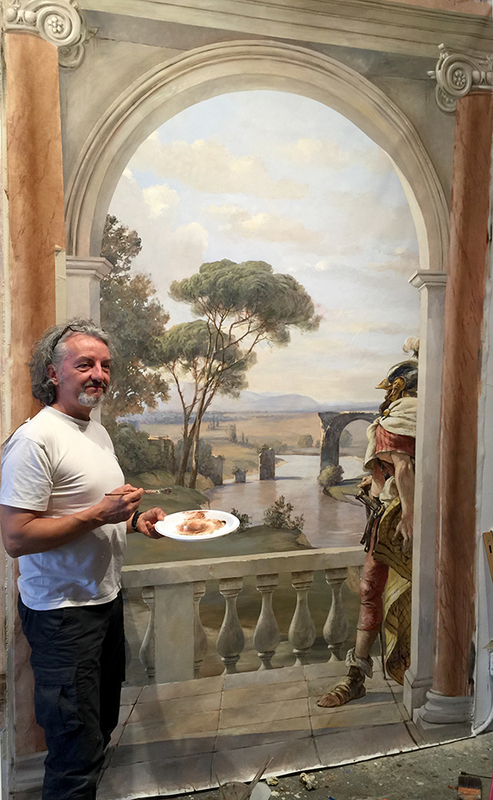 Work side by side with renowned French master Pascal Amblard, as he shows you his process for designing and painting murals in an elegant and efficient manner. This intensive workshop emphasizes design and individual style. As a participating artist you will design and paint your own mural, and may customize your work, according to your aspirations and level of experience. Class is limited to a small group of 5 to 8 artists. Demonstrations of painting technique and individualized instruction will help you achieve your painting goals. Pascal Amblard has been granted a prestigious O-1B visa in order to teach this class. includes six full days of instruction, full-sizes canvas mural panel, brushes, and all paint materials used in class, and a large tube for transporting your mural home. On-line reservations for this class are now closed. please Contact the studio to inquire about this or other class. 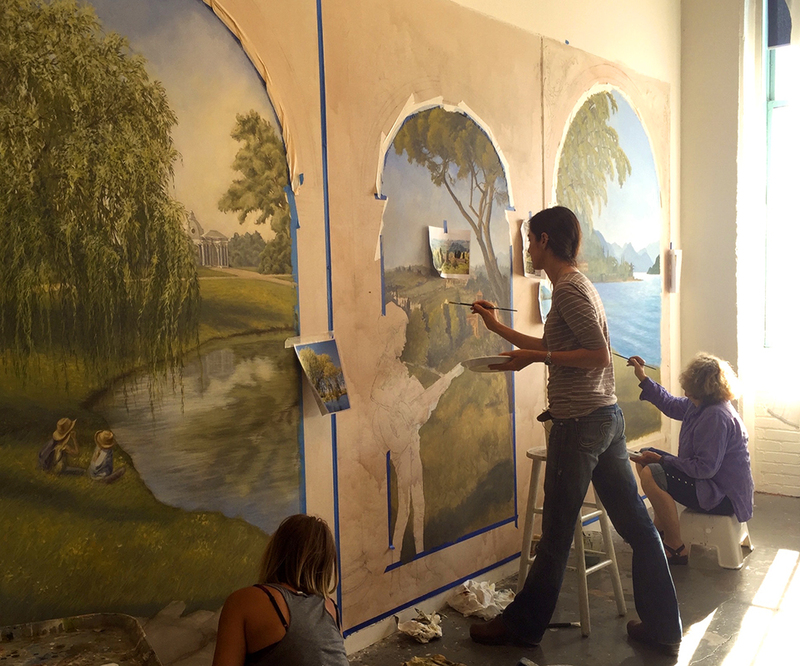 above: a previous class in progress; right: Pascal Amblard demonstrating in a recent mural class at Lynne Rutter Studio.